Even in the cold weather we often experience here in Alaska, engine overheating can still be a problem. Your auto cooling system works hard to ensure your engine stays within optimal temperatures. Proper temperatures lead to the best performance, gas mileage and improved safety. If your auto cooling system is not working right, you lose all those benefits and risk serious vehicle damage, so don’t slack on auto cooling system service. Get quality, dependable service from trained ASE Certified professionals here at University Chevron. 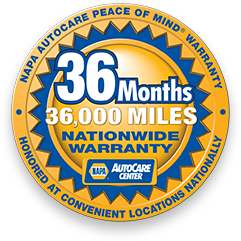 Proudly serving Fairbanks since 1977, we work hard to provide quality auto service and customer care. Schedule an appointment today!